Crescendo fasting and intermittent fasting lifestyle approaches that have helped many people achieve their health goals. Fasting is an ancient healing strategy that has been used since the beginning of known history. Intermittent fasting is a form of fasting where someone is fasting 12 to 16 hours or more per day. During this fasting window, you may not be consuming anything except for water or perhaps herbal tea. During the rest of the day, you would be eating a normal, healthy diet. 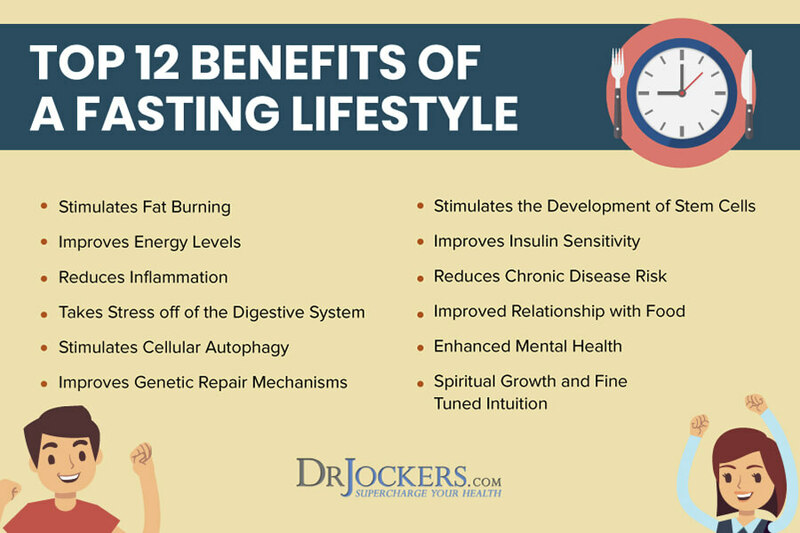 Intermittent fasting can have incredible benefits, including lower inflammation, weight loss, fat burning, improved energy, better digestion, an improved relationship with food, better mental and spiritual health, and a lower risk of chronic disease. However, male and female bodies react to fasting differently. Women may face increased challenges when fasting, including hormonal problems, insulin resistance, and sensitivity to calorie restriction. However, women can still benefit from intermittent fasting, but they may need to modify their approach. 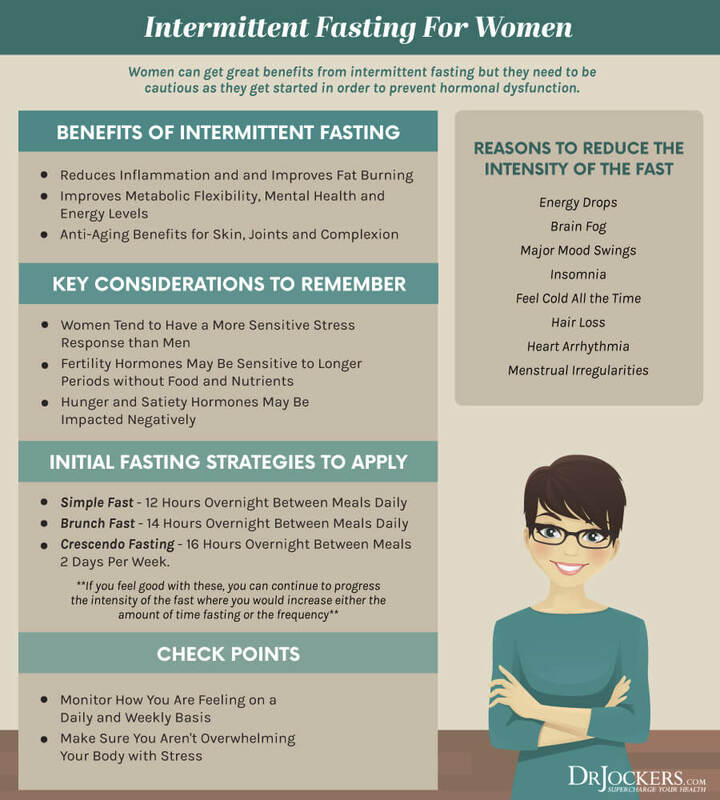 Crescendo Fasting and Cycle Fasting may be fantastic intermittent fasting strategies for many women. Let’s dive in to learn about the benefits of intermittent fasting, the differences between men and women when it comes to fasting, and signs of insulin resistance and hypoglycemia. You will learn why I recommend a simple fast and a brunch fast to start out and then how to move onto Crescendo Fasting and Cycle Fast safely and effectively. 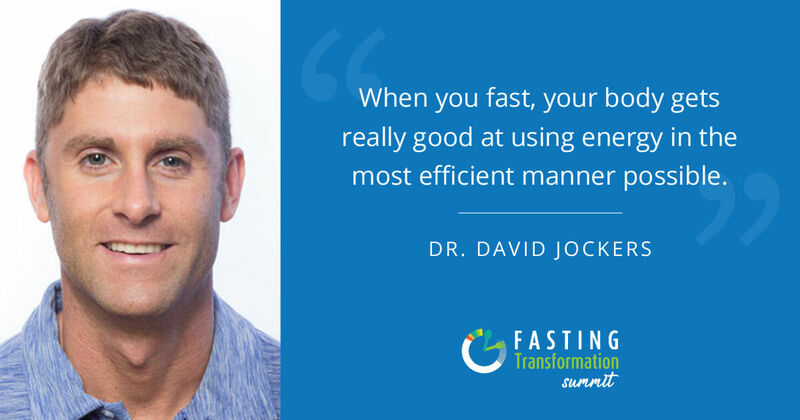 I will also go over 7 strategies to improve your fasting experience. Fasting can be beneficial for your health for a number of reasons. However, it is important to remember that fasting is like exercise and it involves an adaptation process before it starts to feel good. It typically takes 1 – 2 weeks of intermittent fasting before your body resets, your hunger hormones reduce, and you adapt to your new eating schedule. Considering all the benefits, it worth the transition period. Let’s take a look at the 12 benefits of intermittent fasting one by one. During your fast, your body begins to use alternative fuel. After burning up stored sugar called glycogen, it starts burning fat producing ketones. Ketones are three water-soluble molecules that are produced by the liver from fatty acids during fasting, carbohydrate-restricted diets, prolonged intense exercise, food restriction, starvation, alcoholism, or untreated type 1 diabetes. Ketones converted into acetyl-CoA enter the Krebs cycle helping the mitochondria to produce more energy. 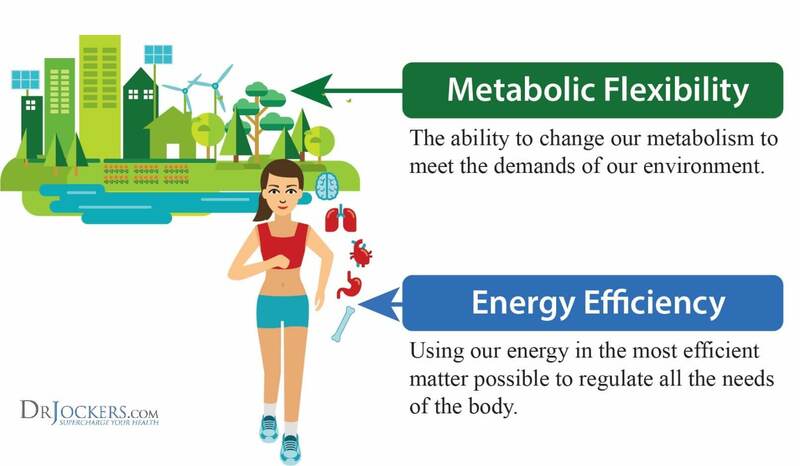 Through this process, your body becomes fat adapted, which means that it develops metabolic flexibility to shift from burning sugar to fat. As a result, fasting can actually stimulate fat burning hormones and help fat and weight loss (1). Fasting can reduce the activity of inflammation-inducing pathways and inflammatory cytokines produced in your body. As a result, it may reduce brain inflammation and reduce the risk of neurodegenerative conditions, such as dementia, Alzheimer’s disease, and Parkinson’s disease. It may also reduce the risk of stroke. Fasting can further help you have better mental sharpness, focus, and memory (2). Ketones are a clean and energy efficient fuel. Fasting helps your body to become keto-adapted and produce more energy with less oxidative stress. Fasting and ketosis stimulate mitophagy, which is where your body breaks down older and dysfunctional mitochondria to be used to produce new and healthy mitochondria. This process helps to produce an enormous amount of cellular energy and helps to improve metabolic flexibility and energy efficiency (3). Digestion requires a lot of energy from your body. During fasting, your body is able to divert the energy normally used for digestion and uses it for repairing tissues, brain cells, your immune system, and other areas. Fasting also offers a break to your digestion, enhances intestinal stem cell production, and helps repair intestinal permeability, also known as leaky gut syndrome (4). Autophagy is part of your innate immune system. It refers to a process of ‘self-eating’ when your cells destroy and recycle their own parts. Fasting can help the process of mitophagy. Mitophagy is a key element of autophagy where your body metabolizes old and damaged mitochondria, hence allowing space for healthier new mitochondria. With the help of better-functioning, new mitochondria, your body becomes more resilient to chronic stress, inflammation, chronic disease, and aging (5). Research has shown that cells have a greater lifespan during famine and times of food scarcity. Fasting mimics this state, helps certain genetic mechanisms, and enhances cellular rejuvenation. 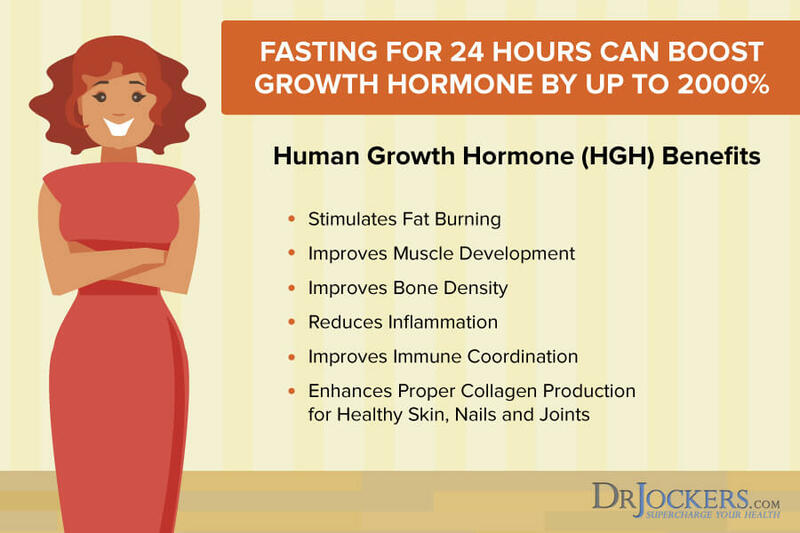 Fasting increases the human growth hormone HGH) which stimulates fat burning, supports muscle and bone development, improves cellular healing, and reduces inflammation. It also acts as an anti-aging serum (6). Fasting can increase stem cell activity. It can be particularly effective when it comes to increasing stem cells in your intestinal lining during short periods of fasts throughout intermittent fasting (4). Insulin is an important hormone in your body that allows sugar molecules making their way into your cells. 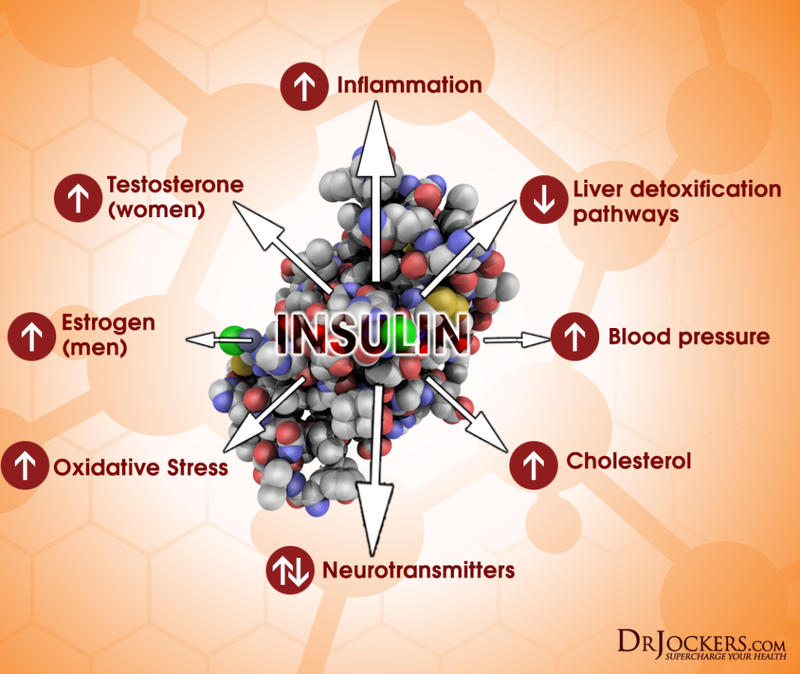 Insulin stimulates glycolysis and lipogenesis to help your body burn sugar for fuel and increase fat storage. However, high inflammatory levels from high carbohydrate foods and frequent feeding can result in inflammation. Fasting can improve insulin sensitivity, lower inflammation, improves nutrient delivery, and lead to less fat storage in your body (7). Most chronic diseases are the result of chronic inflammation. Since fasting can reduce inflammatory levels in your body, it can lower the risk of chronic disease as well. For example, fasting may reduce the risk of diabetes, heart disease, obesity, and metabolic problems, slow aging, and reduce chronic pain and symptoms of disease (8). Most people have struggled with sugar and carbohydrate cravings, overeating, mindless and emotional eating, and other unhealthy eating habits in their lives. While many people are afraid that fasting may lead them to feel deprived, it can actually do the opposite. If you’ve been using food as a drug to boost your mood, to provide you with short-lived quick energy, to take your mind off of stressful events, or to avoid boredom, then fasting may be a fantastic solution for you. Fasting can help you reset your neurochemistry, break mental and emotional addictions to food, and develop a healthier relationship with food and eating. Many people experience improved mood, more creativity, and better mental clarity when fasting. Research has shown that a week of fasting can lead to more tranquility in those with depression. I personally feel more sharp and effective in my work when my ketones are elevated in a fasting state (9). Fasting has been used throughout history and among various cultures and spiritual methods to achieve a deeper relationship with the Creator. Fasting, including Crescendo Fasting, can help you tune out emotional urges and tune into your intuition when making decisions. Regardless of your spiritual beliefs, fasting can help you get closer to your true self and feel more connected to a higher power and the world around you. Male and female bodies may react differently to intermittent fasting and for some women, it may be less beneficial than for men. This occurs because the female hormones are more impacted by the stress response. Female bodies can be extremely sensitive to calorie restriction and restrictive diets. Restrictive diets and low-calorie intake can affect the hypothalamus and disrupt the secretion of gonadotropin-releasing hormones (GnRH) which are responsible for the release of two reproductive hormones called the follicle stimulating hormone (FSH) and the luteinizing hormone (LH). When these hormones are not functioning well and cannot communicate with the ovaries, it may result in irregular periods, amenorrhea, infertility, poor bone health, and reduction in ovary size (10, 11, 12, 13). Additionally, our hunger hormone grehlin and satiety hormone leptin may lose their sensitivity in the hypothalamus. This can result in increased feelings of hunger, cravings and lack of satiety when eating. Finally, women tend to have more issues with eating disorders such as annorexia and bulimia. We always recommend that someone with a past history of eating disorders be fully healed and have the approval of a spouse, best friend or therapist before implementing intermittent fasting. This doesn’t mean that women cannot benefit from intermittent fasting. All it means is that women may consider a modified approach to intermittent fasting, such as a simple fast, a brunch fast or Crescendo Fasting, which you will learn about later in this article. Research shows that intermittent fasting and continuous calorie restriction may reduce some risk factors for diabetes. It may reduce your insulin levels and insulin resistance. It can also help with weight loss, and lower cholesterol and glucose levels in those with prediabetes and diabetes (14, 15, 16, 17). For example, one randomized, controlled study on a hundred overweight or obese women found that six months of intermittent fasting resulted in 19% reduced insulin resistance and 29% lower insulin levels. According to another study, 8 to 12 weeks of intermittent fasting can lower blood sugar levels by 3 to 6% and insulin levels by 20 to 30% in participants with prediabetes (18, 19). On the other hand, in some women, intermittent fasting may not be as beneficial when it comes to blood sugar. According to a small study on people practicing alternate-day fasting for 22 days, women experience worsened blood sugar control as a result of the fast, whereas men did not. Despite this, women with prediabetes may still able to reduce their risk of diabetes via fasting (20). Most women with insulin resistance, such as those with prediabetes or diabetes, do very well with daily intermittent fasting while women with better insulin sensitivity may not do well with daily intermittent fasting due to hypoglycemic stress. 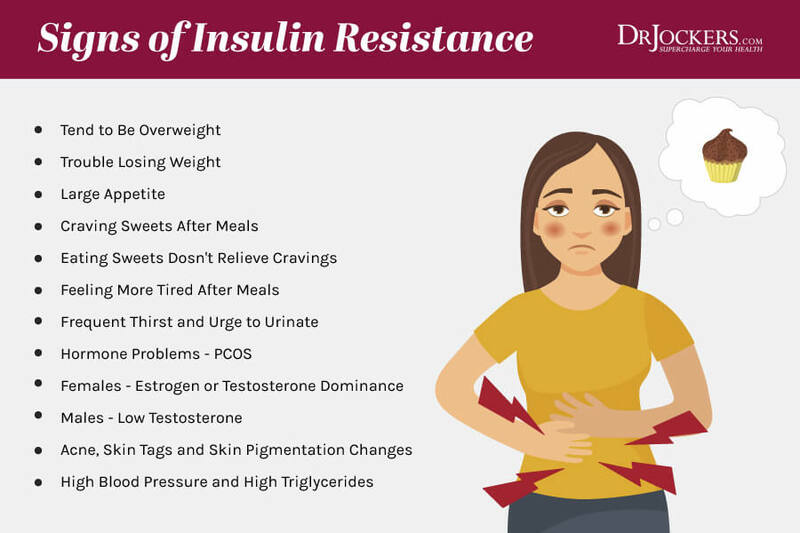 If you have insulin resistance, it is important to talk to your doctor prior to fasting and to listen to your body when starting a fasting regiment. Insulin is an important hormone made by your pancreas. It allows your cells to absorb glucose and convert it into energy. If you have insulin resistance, it means your body is unable to use insulin effectively. Glucose builds up in your blood if your cells can’t absorb it due to insulin resistance. This can lead to higher than normal glucose levels, prediabetes, and diabetes. Let’s look at the signs of insulin resistance. The top two indicators of prediabetes are obesity and insulin resistance. Being obese or overweight can increase the risk that your body will have trouble responding to insulin properly. Being overweight and having trouble losing weight may be a sign of insulin resistance and may also increase your risk of prediabetes. When insulin doesn’t respond normally and doesn’t allow glucose to enter your cells, you may experience something called an insulin resistant hunger. While you may not be physically hungry, you may still experience a desire to eat. If you have a large appetite and are feeling hungry despite eating plenty, it may be due to insulin resistance. Insulin resistance can often lead to cravings for sugar and processed carbs. Culturally we are conditioned to finish a meal with dessert, however, a nourished body satisfied after a meal shouldn’t be craving sweets. If you are craving sweets after meals, especially if you are full, you may be dealing with insulin resistance. While many people enjoy sweets from time to time, it doesn’t mean that they crave sweets all the time. If you are healthy and nourishing your body well, a piece of fruit, sweet vegetable, or a low-carb dessert sweetened by stevia or monk fruit powder should be enough to satisfy your cravings. However, if you are craving refined sugar and processed carbs and eating sweets doesn’t relieve your cravings, you may have insulin resistance. If you feel like taking a nap after meals, it may be because of shifting insulin levels. Eating a high-carb meal or finishing it up with a sugary dessert can lead to a quick sugar spike followed by a crash. If you notice that you are tired every day around the same time after meals, it is likely the sign of insulin resistance because your body cannot process carbs as it is supposed to. One of the most common signs of insulin resistance, prediabetes, and diabetes is frequent thirst and a frequent urge to urinate. If you are constantly thirsty even when drinking a healthy amount of water (8 to 10 glasses a day) or visiting the bathroom very often, you may have insulin resistance. Hypoglycemia is a condition characterized by low blood sugar. It may be the result of various health problems, including issues with blood sugar regulation and improper doses of insulin in those with diabetes. Hypoglycemic responses can be a normal part of fasting and for the most part, should be expected. As your body is adapting to using ketones instead of glucose for energy, you can experience lower blood sugar levels. 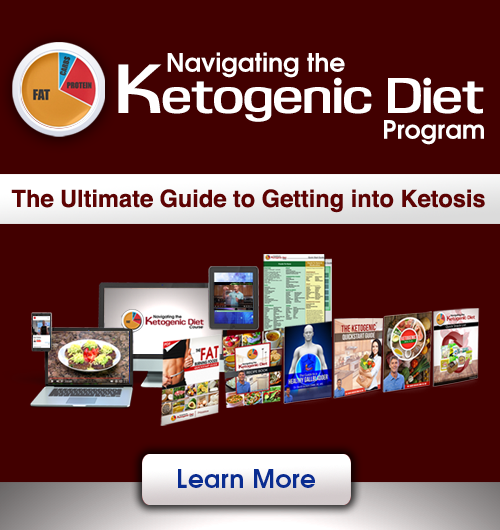 However, until your body is adapted to using ketones, this can become a problem and lead to brain cell death due to a lack of cellular energy production and excessive oxidative stress, which can lead to all sorts of symptoms, including fatigue, dizziness, cravings, and sleep problems. Later in this article, you will learn how to deal with hypoglycemic issues safely and effectively during Crescendo Fasting or another form of intermittent fasting. First, let’s look at the signs of hyperglycemic issues. People with hypoglycemic issues often tend to be leaner. If you have trouble gaining weight despite eating enough and notice other symptoms on this list, you may have hypoglycemia. 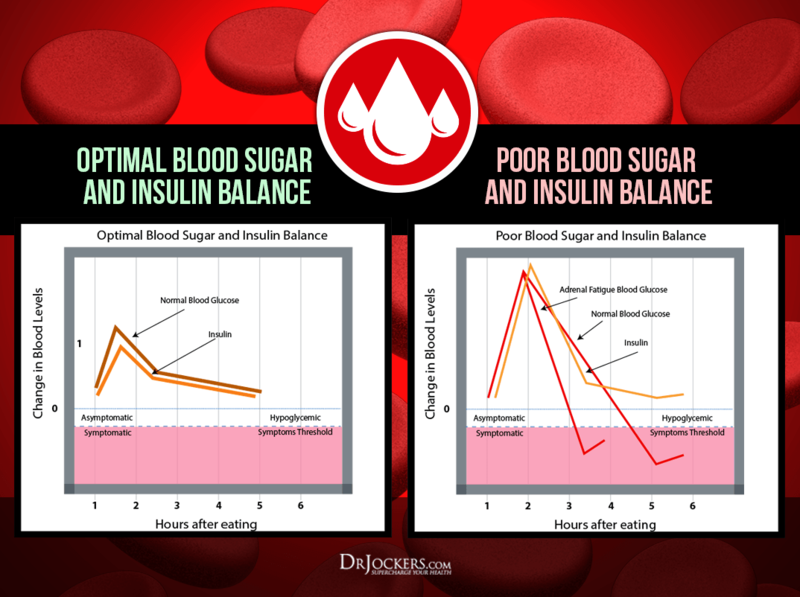 Reactive hypoglycemia is low blood sugar that occurs several hours after a meal. Symptoms include shakiness, fatigue, weakness, and lightheadedness. If you feel shaky and tired between meals, it may be due to low blood sugar (21). Low blood sugar levels can result in fatigue. However, it is not fatigue caused by lack of sleep, working too much, or exercising too hard, but a direct result of low blood sugar. If eating relieves your fatigue, you may have hypoglycemic issues. When eating a nutritious diet, you should be able to wait from one meal to another without serious cravings. If you have cravings and become easily irritable when waiting longer than 3 to 4 hours between meals, it may be because of hypoglycemic issues. Craving sugar and carbs is quite common among those with blood sugar imbalances. However, if you have hyperglycemic issues, you may also be craving salt. 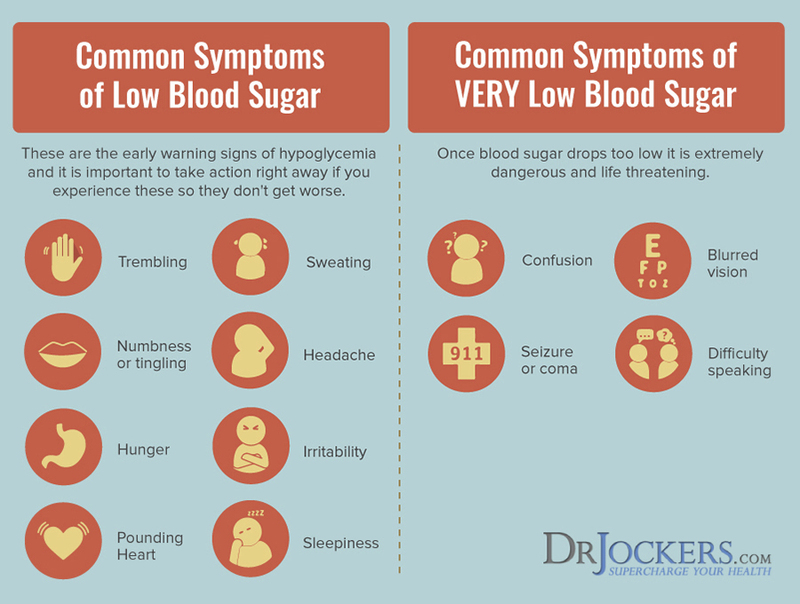 Low blood sugar may not only make you physically fatigued but mentally tired as well. If you are forgetful and confused often and don’t feel as sharp as you used to be, you may have hypoglycemic issues. If you tend to have hypoglycemic episodes and want to try intermittent fasting, begin with a simple fast or a brunch fast first. Once you master that, you can progress up to Crescendo Fasting. Doing a simple fast is a fantastic choice if you have hypoglycemic issues or simply are nervous to jump into Crescendo Fasting right away. The simple fast is the shortest intermittent fasting strategy that’s perfect for beginners. When you are doing a simple fast, you are fasting for 12 hours a day which includes sleeping hours overnight. This strategy can help your body to open up drainage pathways. It supports the liver to cleanse the bloodstream, it helps to reduce stress in your gut and helps you burn fat. It can also help you to reduce food addictions and emotional eating. If you think about it, simple fasting is quite simple and natural for your body. For example, if you stop eating at 6 pm after dinner and don’t eat again until breakfast at 6 am, you are simple fasting. It is important to drink water during the day and upon waking. You can also add herbal tea to your routine, even after dinner. Once you’ve tried out a simple fast for one or two weeks, you can extend your fast to 14 hours. This is what I can a brunch fast. For example, if you stopped eating at 6 pm, you wouldn’t be eating until 8 am, which is still normal breakfast time for many. Try the brunch fast for one or two weeks. If you are feeling good and ready, move onto Crescendo Fasting. As you’ve learned earlier, intermittent fasting can be hard on some women, especially if you are new and jumping in too quickly or if you have blood sugar issues. Crescendo fasting is a fantastic form of intermittent fasting that works for women and is less demanding on their bodies. 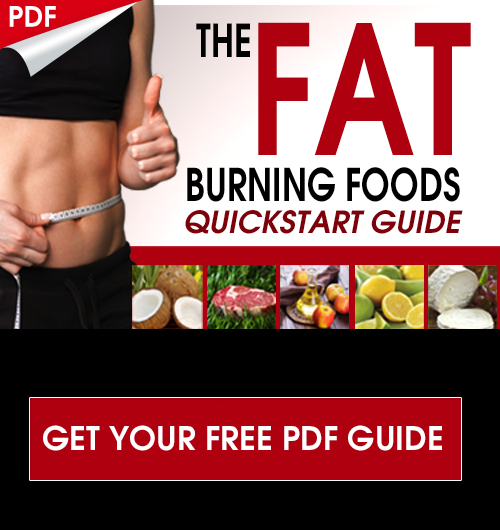 It can help you burn fat, reduce inflammation, and gain more energy. To ease into it, start out with a simple fast or a brunch fast to prepare your body for fasting periods (22). When you are doing Crescendo Fasting, you are not fasting every day. You are only fasting on 2 or 3 non-consecutive days per week. I recommend starting out with 2 days per week. You can pick any non-consecutive days, for example, Tuesday and Friday or Monday and Thursday. On fasting days, apply the 16:8 rule. Fast for 16 hours keeping an 8-hour eating window. For example, you may be fasting from 6 pm after dinner until 10 am. 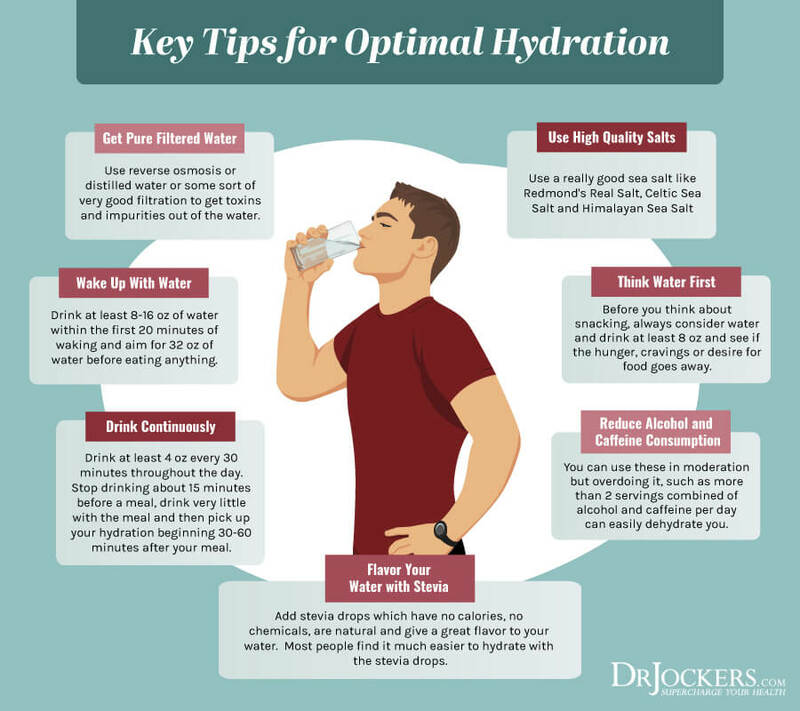 Drink plenty of water throughout the day. Herbal teas without milk or sweetener are also a great option. Avoid heavy exercise on fasting days, focus on yoga or light cardio instead. You can do strength training and more intense workouts on non-fasting days. After two weeks, you can add one more day to your fasting routine and move up to what I call Cycle Fast. Cycle fast is just one step up from what you’ve been doing. You are performing this fast 3 times per week on non-consecutive days, for example, on Tuesday, Thursday, and Saturday. You will be focusing on an extended fasting window between 12 and 16 hours. For example, if you are choosing Tuesday, Thursday, and Saturday as you fasting days and choosing a 16-hour fasting window, you would finish dinner at 6 pm on Monday and you wouldn’t eat again until 10 am on Tuesday. On Wednesday, you would be eating according to your regular eating schedule, however, you would wait 16 hours after dinner to eat your first meal on Thursday. You would repeat this again on Friday into Saturday as well. If you are feeling good, you may even extend your fasting window to 18 hours and have a 6-hour eating window on the 2 to 3 days per week you are fasting. 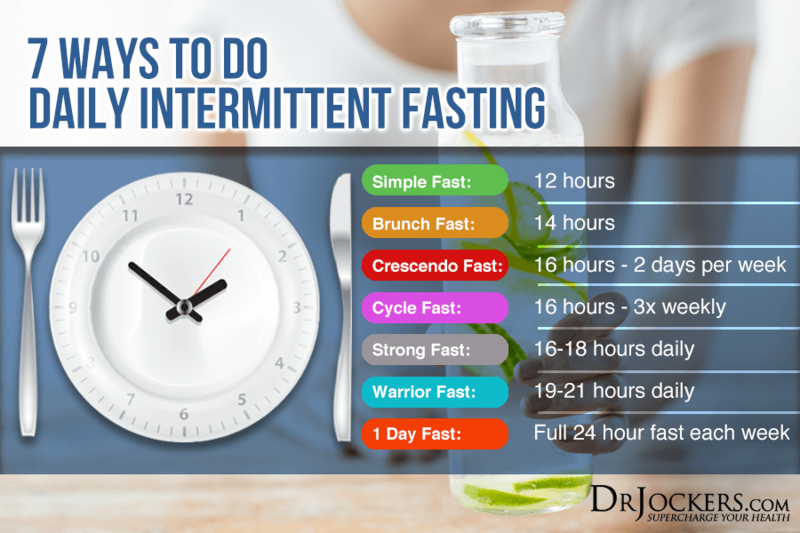 While Crescendo Fasting and Cycle Fasting may seem that to require a bit of planning and adaptation, I can ensure you that you will get the hang of it quickly. It may also be a great stepping stone towards more advanced intermittent fasting strategies if that is your goal. In order to make your fasting experience as comfortable and adaptable as possible it is important to follow certain principles. If you are in a very high stress season than it may not be advisable to make any sort of major lifestyle change such as integrating intermittent fasting. I have seen these 8 strategies work wonders for people who were concerned due to poor fasting experiences in the past. Be sure to study them and put them into practice to help you begin to get the benefits of intermittent fasting. Additionally, if you want a more detailed understanding and step by step guide to practicing intermittent fasting than check out my Fasting Transformation Quickstart Program. Proper hydration is non-negotiable during the fasting window. During your fast, your body will lose a lot of water when using up stored glycogen in your muscles and liver. Glycogen actually carries water with it, and you will use it as an energy source. You will only urinate out the extra. Furthermore, during your fast, your insulin levels may drop, which results in excreting more sodium and thus losing more water. I recommend drinking at least 32 oz of water during the morning of your fast. Drink continuously throughout your fasting window. You may also add herbal teas in the evening or as needed throughout the day. Remember, if you are thirsty, you are already dehydrated. Be prepared, and drink plenty of water. When you are fasting and during ketosis, you run the risk of losing electrolytes. 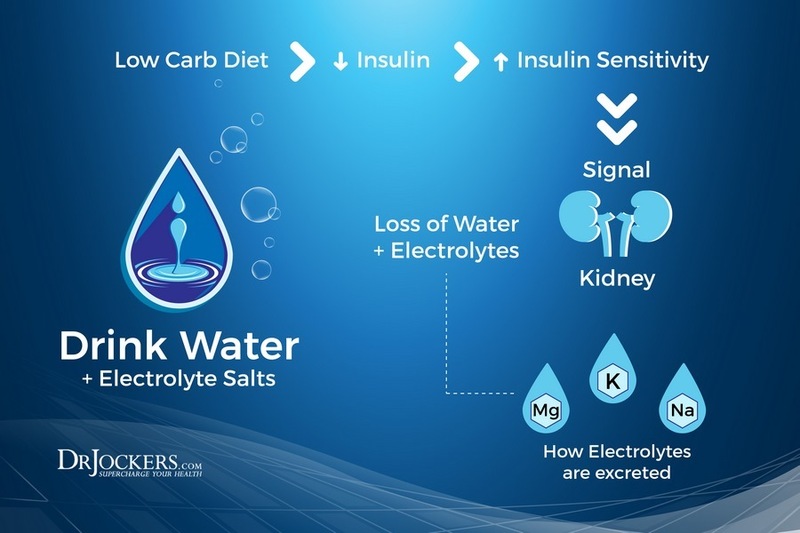 As you can learn from this article, electrolyte imbalance can lead to a variety of health issues, including fatigue, digestion issues, confusion, anxiety, and irregular heartbeat. As your insulin levels drop during your fast, you are running the risk of losing too much sodium. Remember, it is normal sugar that helps your body to retain sodium. Using good quality salts, such as Himalayan Sea Salt, Celtic Sea Salt, and Redmond’s Real Salt is the best way to tackle this issue and prevent problems. If you feel tired or dizzy during your fasting window, simply add a pinch of salt to 4 to 8 oz of water. Most people notice an immediate shift in energy and mental focus (23). High-quality sleep is incredibly important even if you are not fasting, however, it is particularly important if you are fasting. During Crescendo Fasting, or any other form of intermittent or another type of fast, your body uses its time to repair and restore itself at a cellular level. If you are exhausted or stressed, your body will have a more difficult time to repair the damage. If you didn’t sleep well the night before your fast, it may not be a good time to do Crescendo Fasting or any other intermittent fasting as your stress response will be elevated and you will be overtired (24). The good news is that Crescendo Fasting and intermittent fasting can actually improve your sleep. 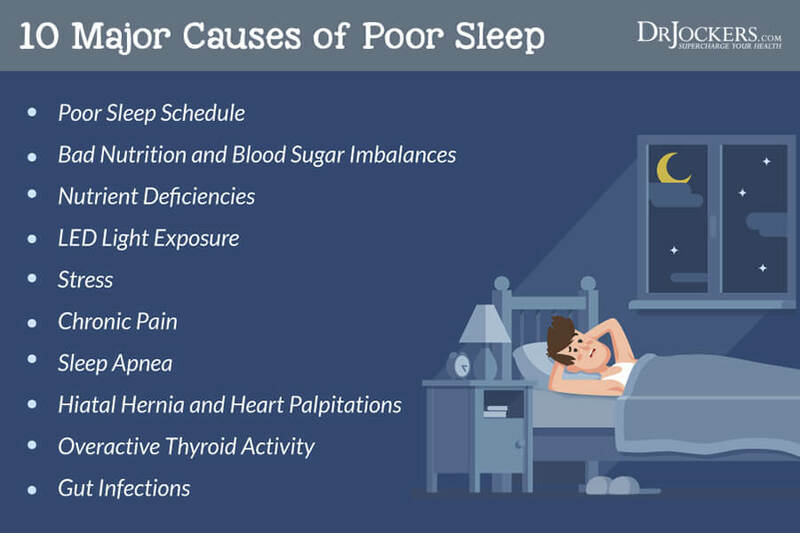 Your sleep can become compromised by overeating or eating to close to bedtime. Research has found that eating heavy meals before sleep can worsen your sleep quality and result in restlessness and fatigue. The timing of your meals can also affect your circadian rhythm. With practice, your body will not only adjust to your fasting routine but your sleep can also benefit from it (25, 26, 27). Crescendo Fasting and other forms of intermittent fasting are not about starvation or calorie restriction, but rather about benefiting from the actual fasting state and ketosis. Cutting your calories during your eating window can lead to many health issues such as an unhealthy relationship with food, fatigue, frustration, and moodiness to name some. It may even trigger you to throw in the towel on fasting. Asides from its health benefits, one of the points of intermittent fasting is to develop a healthy relationship with eating and to learn how to listen to your body. As you learn to listen to your body, you will realize that it is an amazing machine that will let you know when it had enough food by releasing hormones and sending you cues. Make sure not to undereat during your fasting window and eat until you’re satisfied. This way you will be able to stick to Crescendo Fasting or intermittent fasting long term, experience full benefits, have lots of energy, and develop a healthy relationship with your body and food. While exercise is important and offers incredible benefits for your physical, mental, and spiritual health, it is important not to overdo it on your fasting days. Remember, this is a time for repair. If you are training too hard while fasting, it can put too much stress on your body and result in fatigue, including adrenal fatigue. Stay away from high-intensity exercise on your fasting days. 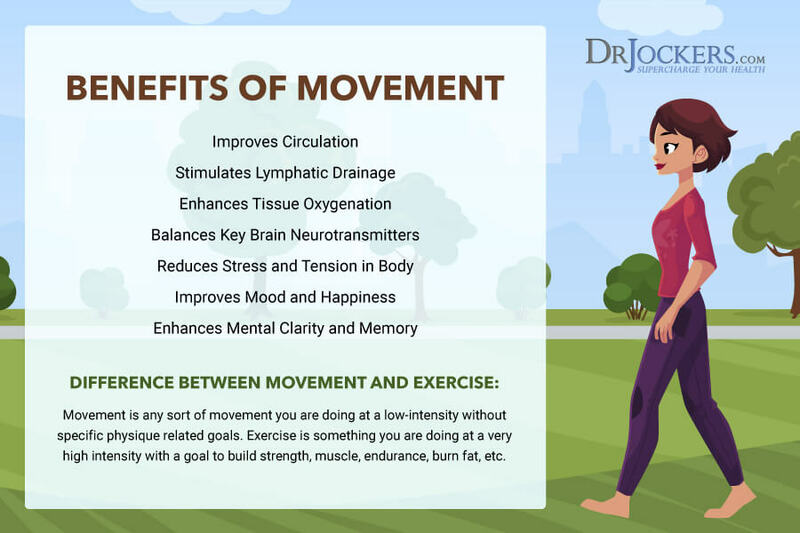 Do light movement instead, such as going for a walk, light yoga, or stretching. You can return to weightlifting and high-intensity workouts on your non-fasting days. Magnesium is one of the top mineral deficiencies people are dealing with in our modern world. It is also one of the most abundant minerals that you require for a variety of reasons, including bone, muscle, heart, and mental health. When you are under stress or fasting, your blood sugar drops, and your body will use more magnesium. The symptoms of magnesium deficiency are very similar to the symptoms of hypoglycemic issues and can worsen when they come together. Taking extra magnesium when fasting can be extremely helpful. Ionic magnesium can be great, however, it requires a carrier, such as a ketone salt from an exogenous ketone or from a chelated amino acid form to get into your bloodstream. Using chelated forms of magnesium, such as magnesium taurate, glycinate, citrate, malate, or orotate can also be helpful. 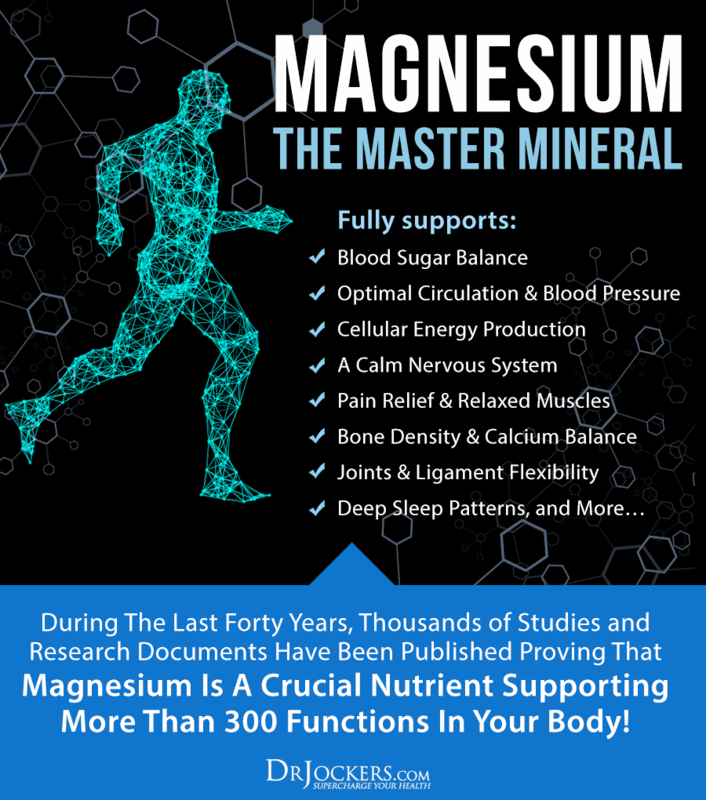 One of my favorite forms of magnesium for stress and hypoglycemia, and for neurological adaptation as well as improved energy, is magnesium L-threonate called Magtein. Adaptogens are powerful herbs that help to balance your body’s stress response and which provide you with more resilience. These herbs and mushrooms, such as ashwagandha, cordyceps, Reishi, Rhodiola, lion’s mane mushrooms, ginseng, and holy basil, have adapted to extreme environmental stressors in nature. As a result, they developed unique compounds that can benefit your health during stressful times, including fasting. Low blood sugar is one of the major stressors your body may experience. Adaptogen compounds can help regulate and balance your blood sugar to prevent and reduce symptoms of hypoglycemic issues. When you have low blood sugar, your body also produces more cortisol. Adaptogens can help with this by balancing your cortisol levels so that your body is not producing too much or too little, and can respond to stress appropriately without causing health problems. Exogenous ketones mimic your body’s own production of ketone. They can help to teach your body to adapt to using ketones as fuel more quickly. As your body learns to use ketones over time, it becomes more efficient in using them as sources of energy. Ketones can help provide fuel for the brain so they can produce energy and function optimally. They can regulate the neuroinflammation and increase brain-derived neurotrophic growth factors (BDNG) to help cognition. They also help you to stabilize blood sugar and to suppress appetite and cravings (28, 29). As you are embarking on a Crescendo Fasting or other intermittent fasting journey, I highly recommend the Fasting Stress Support Pack. I use this pack personally and recommend it to my clients who are fasting regularly. This Fasting Stress Support Pack includes the Keto Edge, Cortisol Defense, and Brain Calm Magnesium to support you during your fast. It is a fantastic choice if you are new to fasting or if you struggle with high cortisol and hypoglycemia, or if you are a woman. I recommend you to take 1 scoop of the Keto Edge mixed in water during challenging periods of your fast or if you feel hypoglycemic symptoms coming on. It is a fantastic formula made with exogenous ketones, adaptogenic mushrooms, amino acids, and phospholipid and it will support natural ketosis, improve energy and performance, reduce stress, boost function, and increase fat burning. I recommend 1 capsule of Cortisol Defense in the morning, at midday and early afternoon, and 1 to 2 capsules before bed. It can help your body to resist and recover from stress, reduce fatigue, boost mental clarity, increase relaxation, and improve sleep. I also recommend the Brain Calm unsweetened magnesium powder along with Keto Edge at bedtime to improve your sleep. It can also improve your memory, learning, stress management, and bowel movements. Fasting is a healing strategy that has been used since ancient times. Intermittent fasting is a form of fasting that can have incredible benefits, including lowering inflammation, weight loss and fat burning, improved energy, better digestion, improved relationship with food, better mental and spiritual health, and a lower risk of chronic disease. However, male and female bodies react to fasting differently. Women may face increased challenges when fasting, including hormonal problems, sensitivity to calorie restriction, and insulin resistance. 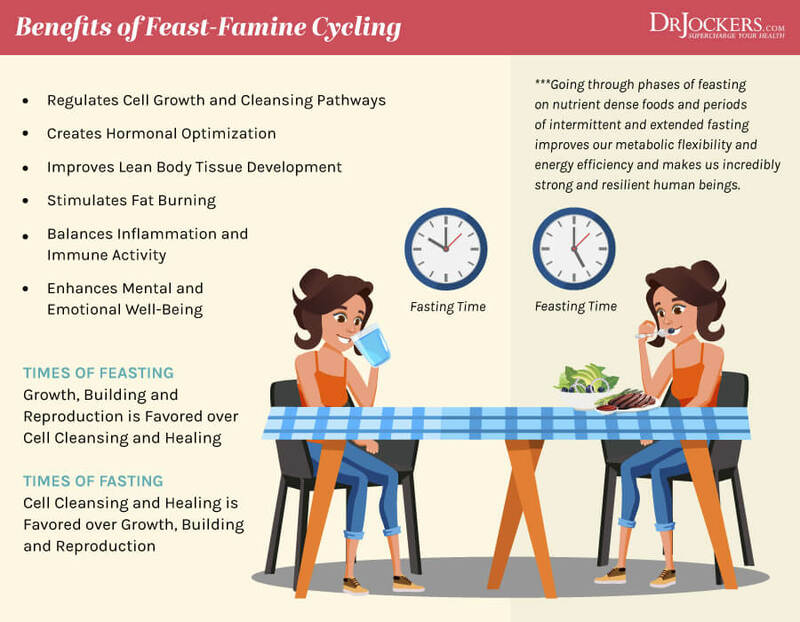 When it comes to intermittent fasting, Crescendo Fasting and Cycle Fast may prove to be fantastic intermittent fasting strategies for women to avoid health problems and to receive full benefits. As you are embarking on a Crescendo Fasting or other intermittent fasting journey, I highly recommend the Fasting Stress Support Pack. Keto Edge is made with exogenous ketones, adaptogenic mushrooms, amino acids, and phospholipids to support natural ketosis, improve energy and performance, reduce stress, boost function, and increase fat burning. Cortisol Defense helps your body to resist and recover from stress, reduce fatigue, boost mental clarity, increase relaxation, and improve sleep. Brain Calm magnesium helps improve your sleep, memory, learning, stress management, and bowel movements. Together, they can improve your intermittent fasting experience and enhance your health. We priced this pack out in order to provide over 25% savings off of the regular retail rate. Thank you for this comprehensive & thorough review of intermittent fasting, very informative. Thanks Kath!! Blessings to you!! During 16 hour fasting, does 1 tablespoon of butter or coconut oil interfere negatively with the fasting benefits? It does interfere but it is much much better than consuming anything with protein or carbs. If it helps you, continue to do it! For a lot of us, the greatest single obstacle is trying to change too many things at once. I started my own journey simply by disciplining myself to prepare just one meal a week at home from whole, natural ingredients (a piece of salmon with white and wild rice and some steamed frozen vegetables) instead of either eating out or grabbing a packaged dinner out of the freezer and sticking it in the microwave. Over the course of a year, very gradually, I got to where I was buying virtually no processed foods or fast foods at all and eating only one meal a week out at a halfway decent restaurant. And of course I learned how to prepare all sorts of different foods, not just salmon, rice and mixed frozen veggies. But I wasn’t yet anywhere close to being ready to do something as extreme as true fasting. My next major move was to start paying serious attention to how much I was consuming of which macronutrients (protein, carbs and fat), not actually measuring anything but just perceiving it as more of this and less of that. I found that what works best for me is moderate protein, lower but not LOW carbs (with very little refined carbs and zero sugar), and higher but not HIGH fat. I am definitely not “keto” but I am pretty well “fat-adapted,” switching easily into fat burning mode for at least a few hours every day. Along the way I learned the difference between healthy fats and unhealthy fats and, for example, added extra virgin olive oil and coconut oil to my diet. I also learned to use stevia as my primary sweetener. Once all that was settled in and had become just automatic routine, I was finally ready to take a serious look at my eating schedule in addition to the contents of my diet. As I learned first from my all time favorite blogger, Dr. Jockers, eating exactly the same food but on a different schedule can produce different health results. And just as there is no such thing as a one-size-fits-all diet, there is also no such thing as a one-size-fits-all eating schedule. So I experimented around to find out what works best for me. As a daily routine I seem to do best long term on a 12 hour total fast, but keeping about 90% of my calories in a single large meal about halfway through my day. I generally break my fast with nothing but a cup of homemade chicken broth and maybe a small handful of pork rinds. My one real meal comes two or three hours later, then another cup of broth a few of hours after that. Finally I close out my 12-hour eating window with half a cup of mixed nuts and a serving of fresh fruit like some berries, a quarter of an apple and a quarter of an orange (organic, and eating it with the skin). Finally, after a couple of years of eating like that I was ready to try some real “fasting” where I’m consciously looking at the clock and deciding whether to eat or not eat based on an explicit rule. These days on “fasting” days I just skip my morning cup of broth and drink it instead as sort of a side dish with my dinner. Same amount of food, just a different schedule. That pushes my fasting window from 12 up to 15 or 16 hours. I have no evidence I can point to, either objective or subjective, that doing that really makes a difference in my health, but it’s easy to do and I can’t see any harm in it. And by the way, don’t anybody waste your breath telling me I “shouldn’t” eat my evening treat of nuts and fruit. That one is non-negotiable. Three weeks ago I decided to try for a 24 hour fast. I made it to 18. Two weeks ago I tried again, and made it up to 20. Man, that was tough. One week ago I made try number three, and I made it the full 24 hours from last swallow to first swallow of anything but water, coffee and various herbal teas. I was amazed at how much easier it was than it was on my first two tries. I’m guessing it might have been because the first two times I ate more than usual on the day before in order to prepare myself. On the third try I just ate the usual amount the day before, because I wasn’t planning to fast the next day. I just started it spontaneously in the morning. I’m now going to shoot for doing a couple of 24 hour fasts per month, so I’ll experiment around with eating more, less or the usual amount on the day before. And who would ever have expected all that from me six years ago when I was still eating the Standard American Diet and had never given a thought to changing any of my eating habits. It did take time, quite a bit of time, and I’m sure it never would have worked for me at all if I had tried to change everything at once instead of taking dozens of baby steps. Great job with this Greg!! Listening to your body and building your fasting muscle!! Blessings! Well done Greg, you did it your way! Your perseverance should help others to achieve better health.